Multi-national interim management recruitment comapny, Executives On Line, have offices throughout Europe, the Middle East, Africa and Asia. Andrew Burdett Design were recommended to them and over the last few years we have worked on many large report designs and publications whilst keeping within their corporate brand guidelines and previous publications styles. 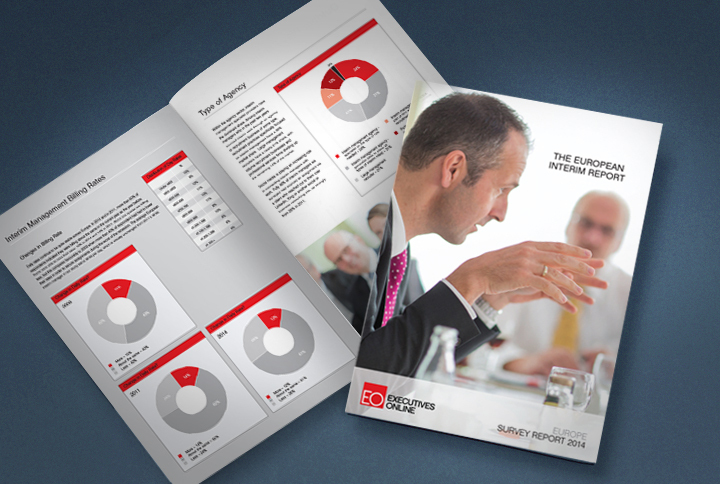 From the copy and imagery supplied we have produced numerous large report designs. Often these weighty documents have been enlived with lots of photography and we have also had to produce the numerous charts and tables they contain. Call the business report design experts on 01433 208307 for a no obligation chat and FREE quote.